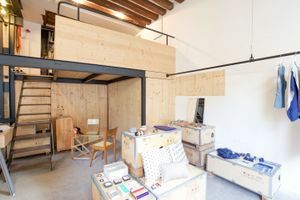 This unique 30 sqm shop in the fashionable area of Haut Marais is perfect for pop-up shops, product launches and showrooms. 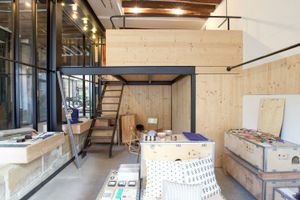 With it’s graphic industrial interiors this store has an edgy atmosphere. 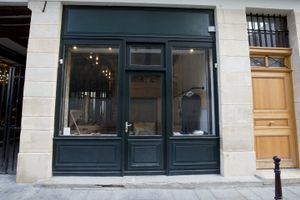 The exposed black steel beams, wooden features and black floor are modern the shop frontage is painted a slick black with large windows. 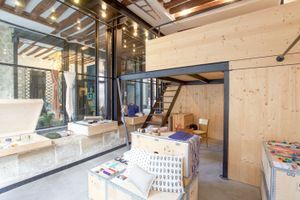 There is a fantastic mezzanine which breaks the space and adds a great unique feature to the space. This space is very well-equipped for various type of retail. Facilities include fitting rooms, a stock room, Wi-Fi, office equipment, garment racks and street level access. 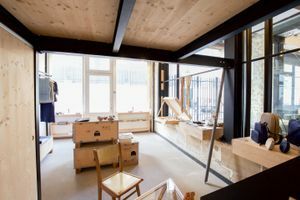 This shop is a brilliant opportunity to create a pop-up experience in a creative environment.